provides the most affordable fireplaces in the Seattle, WA area. We take care of all your needs in all phases, including brick, block and stone for commercial and residential work for anything interior or exterior, from the ground up that you may need. We provide a very high quality craftsmanship job at an affordable price. We are a family owned company that will provide you with highest quality possible. My goal as a masonry contractor is to keep your project on track. I will make sure it keeps to schedule, stays on on budget on a timely manner. I hope to work with you and customize your home or property. Give Jason the Mason a Call (206) 354-5172. And I'll be happy to meet with you to discuss your wants and needs. When it comes to floors in your home or your business, you want something sturdy. The same can be said for your patio and outside areas. When you are doing a remodel on your home, you have certain items on your wish list. The same can be said if you are buying a new home. No other masonry company in Seattle, WA is as efficient as ALL PRO Masonry And Property Services. 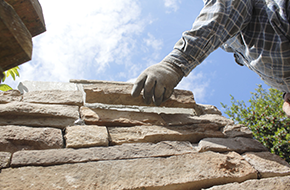 ALL PRO Masonry And Property Services is a masonry company located in Seattle, WA. The business is family owned and its mason, Jason, has 15 years of experience in the masonry industry. I offer my clients affordable stonework, masonry contractor services, and fireplace installation and maintenance. In addition, I also do chimney installation and restoration, brickwork, retaining walls, patios, fire pits, and custom designing. If you need new stone flooring for your pizzeria or your next kitchen remodel, I am the guy to call. My stonework is of the highest quality and very affordable. If you are doing a kitchen remodel and are replacingthe floor as well, I can install new stone flooring that is both sturdy and aesthetically pleasing. I can fix your chimney, fireplace, and walkways, as well as your interior walls, giving them the ability to stand the test of time. Not only that, but any new stonework in your home also increases the value of your property, which is nice if you decide you want to sell. 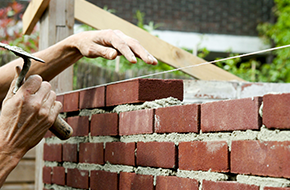 As a masonry contractor, I perform installations, repairs, and maintenance for all types of masonry. One of my biggest responsibilities is working as a project manager. I meet with you prior to starting a job to discuss your needs and wants, go over your budget and give you an estimate. Once that is done, I purchase the necessary materials and hire any labor. I will keep the project on schedule and on or below budget, giving you a finished product you can be proud of. 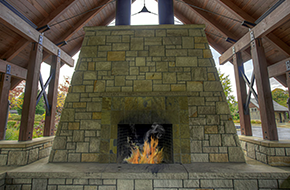 Lastly, I perform the installation, maintenance, and repair of fireplaces and fire pits. There are different types of fireplaces that you can have, such as gas, electric, or wood burning, and each with its own benefits. Regardless of what fireplace you choose, you will find yourself saving on your energy bill and adding monetary and aesthetic value to your home.